A Birth Doula provides continuous comfort, encouragement, and reassurance through respect for women in labor. A Postpartum doula provides practical support to families as they adjust to life with a newborn. 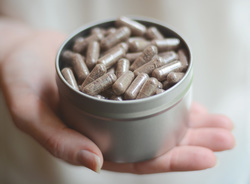 ​Women who take their placenta capsules tend to have better postpartum experiences, avoid the baby blues, have an increase in energy, and an increase in milk production. Infant Massage is an age-old tradition that has been passed down from mother to daughter since the beginning of time with proven benefits for both parent and child.